Earlier this year, famed design house Italdesign Giugiaro became part of the Volkswagen Group, and the longtime collaborators are are presenting their first joint concepts at the Geneva Motor Show this week. 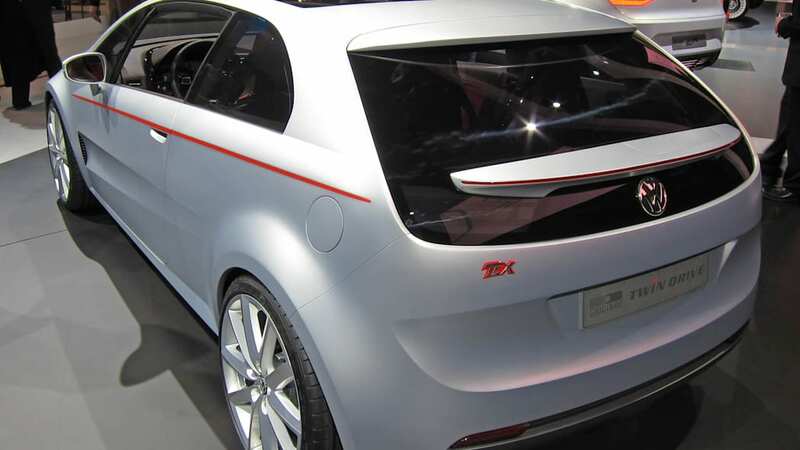 The Italian design firm calls the Tex an "interpretation of tomorrow's sporty Volkswagen," incorporating coupe-like lines into a hatchback shape. In execution, it looks a bit like the current Euro-spec Honda Civic hatch to our eyes – especially up front. That's not necessarily a bad thing, but if we're honest, we expected something a little bolder from the company that has penned some of the most gorgeous designs of all time. The Tex Concept is powered by Volkswagen's Twin Drive plug-in hybrid system, which we're told has a range of 35 kilometers (about 21 miles) with just the battery driving the wheels. Inside, the Tex uses a driver-focused cockpit, and unlike the vast majority of concept cars that we'll be seeing in Geneva, the Giugiaro interior looks nearly production-ready. We like the implementation of the flat-bottomed steering wheel, supportive seats and funky new shift knob. While the Tex is merely a concept right now, there's no telling if Volkswagen will use this as a basis for a future sports car, perhaps even a Golf or GTI far along down the road. Hit the jump to read the full details in Volkswagen's press release, and see the Italdesign Giugiaro Tex Concept for yourself in both of our high-res image galleries below. 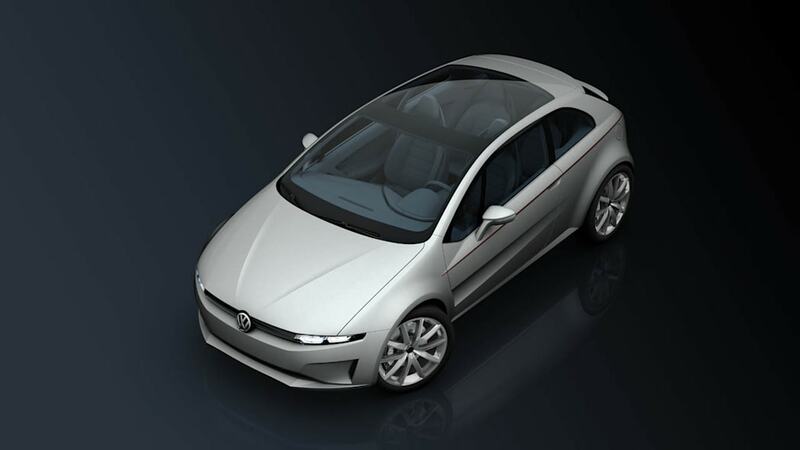 A Coupé and MPV powered by the Blue-e-motion and Twïn Drive systems mark the debut of the company based in Moncalieri, Italy within the Volkswagen Group. The world preview of GO! 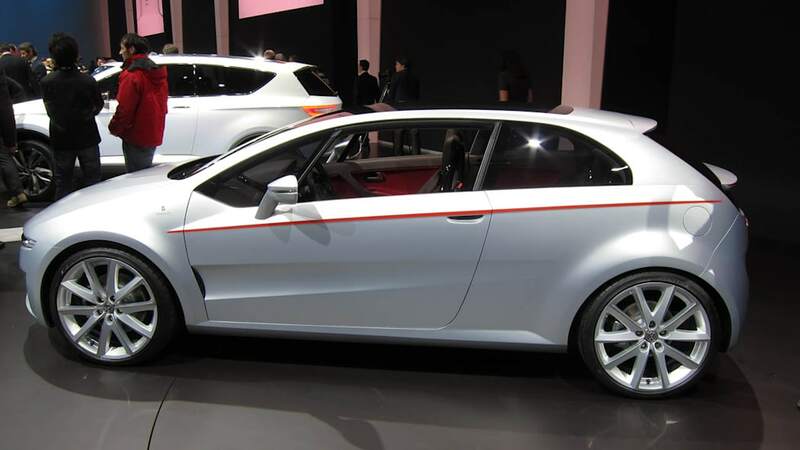 and Tex at the 81st edition of the International Motor Show in Geneva marks the debut of Italdesign Giugiaro as part of the Volkswagen Group. 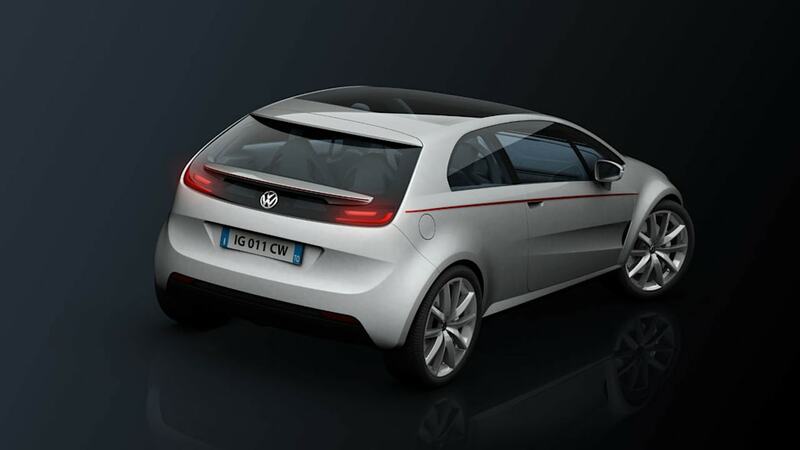 The two prototypes are the Giugiaro's interpretation for the Volkswagens of the future designed for the A0 segment. 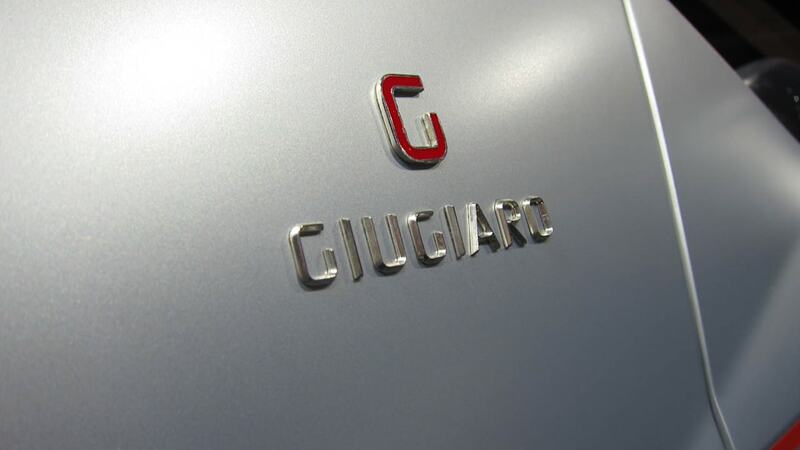 "Italdesign is a figurehead of Italian design and engineering creativity. We have been working together closely in a spirit of partnership for many decades, said Prof. Dr. Martin Winterkorn Chairman of Volkswagen Group. As a full member of the global Volkswagen Group, Italdesign, now more than ever, is a creative center for fresh ideas and new concepts for our brands. The integration of Italdesign is a building block in our effort to take Volkswagen to the top of the automotive industry by 2018. That is why the outstanding know-how and capacity of Italdesign in design and engineering are so important for our Group". "We conducted a research study imagining the Volkswagens of the upcoming future, cars for the most part designed for the city with our highly personal interpretation, for our debut within the Group," declared Giorgetto Giugiaro. "Go! is an MPV that continues that subject owing to its improved ergonomics and passenger room while keeping the smaller exterior size that has distinguished a large part of my career. It is a vehicle that is no more than 4 metres long, is eco-friendly, and is able to guarantee the utmost in terms of ergonomics and luxury, with an abundant loading volume. Tex on the other hand is our interpretation of tomorrow's sporty Volkswagen." 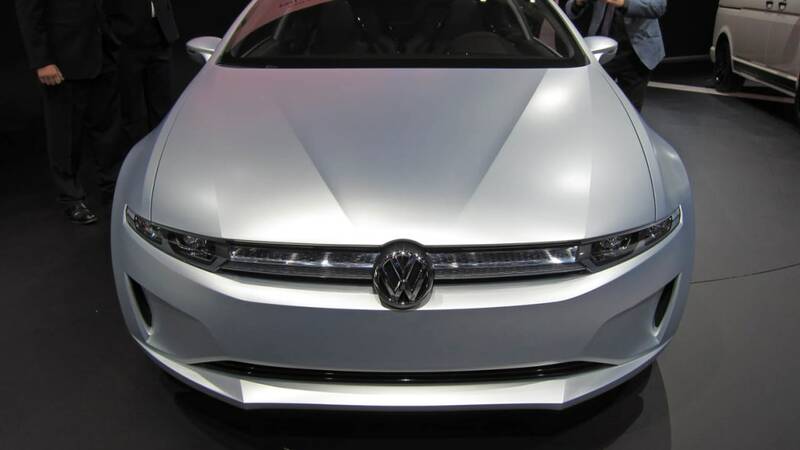 The two concept cars are powered by Volkswagen systems. Blue-e-motion is the totally electrical system of the Go!, while the plug-in Twïn Drive hybrid is fitted on the Tex. Thanks to these technologies, the two prototypes guarantee performance ever-attentive to the environment. The Go! 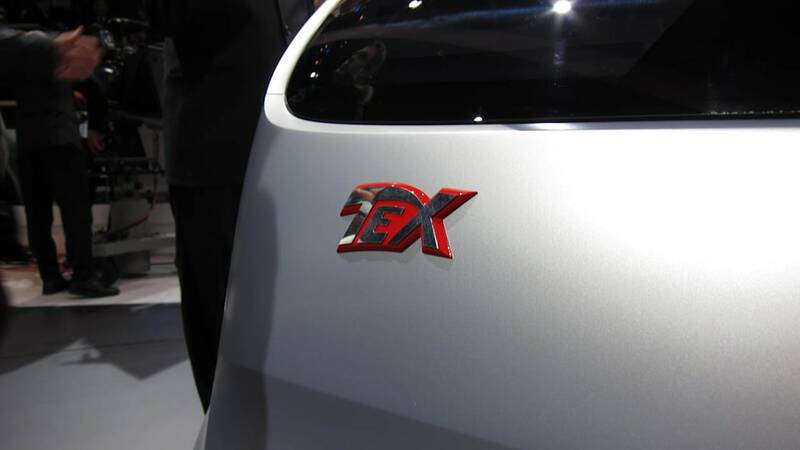 is able to travel 240 km at zero emissions, while the Tex can run 35 km in electric mode. "The Go! 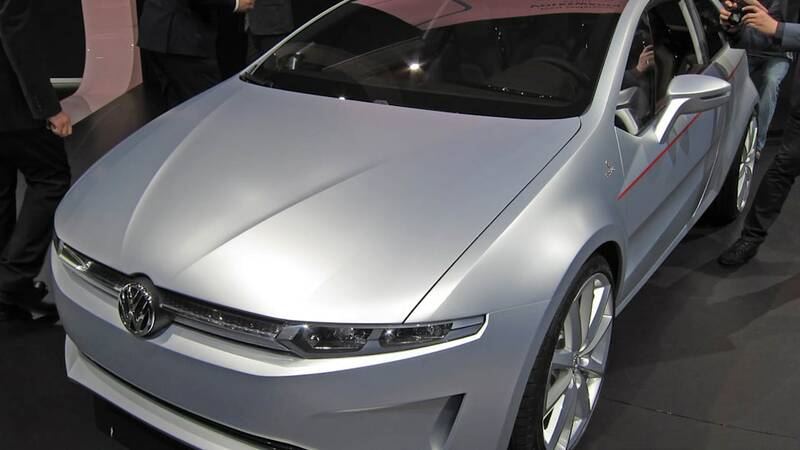 and Tex are the first concrete result of Italdesign Giugiaro's integration within the Group," added Walter de' Silva, Head of VW Group Design. In actual fact, they depict the Group's philosophy and at the same time the reason that led us to want Italdesign to join us. These two concept cars are the outcome of an independent research study carried forth by Giorgetto and Fabrizio Giugiaro on a topic strategic for the Group: solutions for the urban mobility of tomorrow. The GO! and Tex come out of the discussions and observations that Volkswagen and Italdesign have been working on. The first is a people mover that is compact but very roomy. 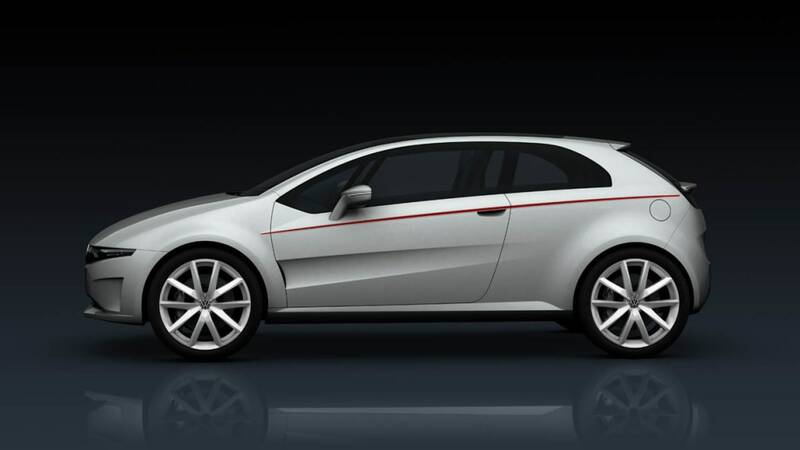 The coupé instead follows Volkswagen's long sporting tradition". The Go! and Tex have a least common denominator labelled Volkswagen. These platform proposals, developed by Volkswagen, show the future potential of the modular transverse architecture (MQB= Modularer Quer-Baukasten). The first vehicles, based on the MQB, will be launched next year. In future this architecture will indeed be able to house an electrical plug-in system, a hybrid system, a classical internal combustion engine powered by petrol, diesel, LPG, CNG and even hydrogen fuel cells without distinction. Designed for the city, the Go! 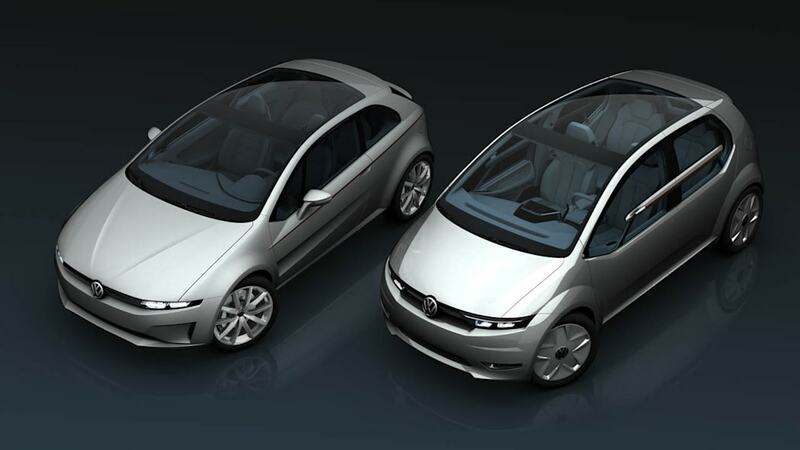 together with the sporty Tex could increase the wide range of Volkswagen products to A0 segment even more. 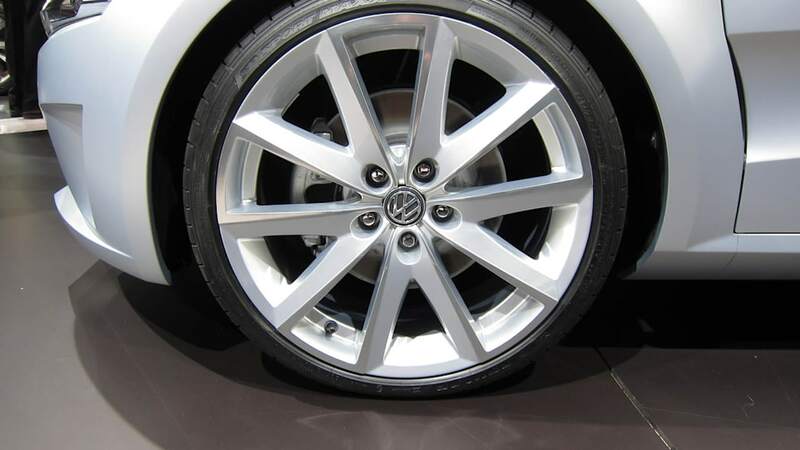 With the same wheelbase as that of the Passat – 2700 mm – the Go! is a hatchback boasting a total length of 3990 mm thanks to its smaller overhangs. The battery pack is housed underneath the front and rear seating positions. This vertical package allows for the Go! a weight distribution of 58% on the front and 42% on the rear. "With this exercise I wanted to continue the design of a car able to offer maximum utilisation of its interior," Giorgetto Giugiaro stated. "The project started with the 1976 New York Taxi, and continued with the 1978 Megagamma, the 1998 Structura and then came to maturity with the 2010 Emas. The Go! is less than 4 metres long, but offers more passenger room than that of a large SUV and has a 400 up to 525-litre boot, ideal for city use." The design of the exteriors is dominated by extensive glass surfaces, in clear contrast with the trends of recent years of providing cars with increasingly smaller windows. In addition to filling the passenger compartment with light and giving its occupants the chance to thoroughly enjoy city scenery, also thanks to its totally glass roof, this design offers the driver with maximum visibility while driving. The A pillar is in particular considerably farther forward than its traditional position, and the bulk of the door mirrors is eliminated by using cameras. The side windows also extend beneath the waistline - markedly high and optically taken up again by adding a longitudinal structure that crosses the side windows - drawing on a solution introduced in 1988 with the Asgard prototype. This lets the driver benefit from maximum visibility even during manoeuvres and when taking tight curves. Like in the Emas, only the lower part of the windows (the part beneath the longitudinal structure) can be electrically lowered. This solution reduces the weight that the electric window mechanism has to support to a minimum, and is in any case necessary for meeting all of the essential operations such as paying tolls or refuelling. The seat H point (corresponding to the passenger hip position) is located higher than that of mass-produced cars but lower than that of an SUV. 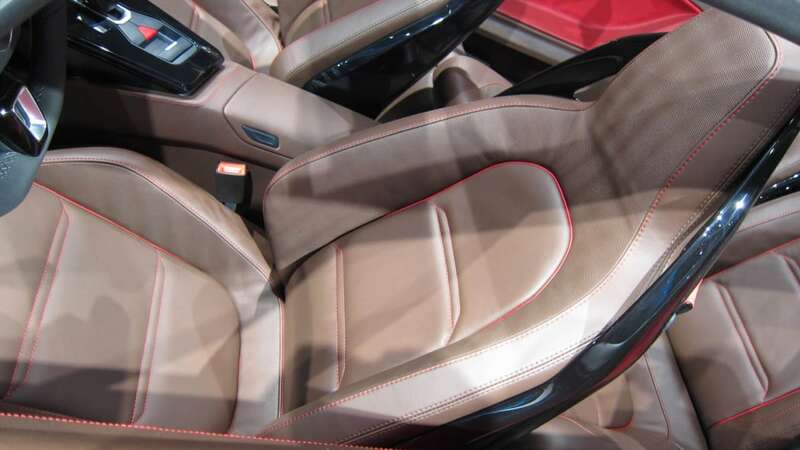 This solution makes getting in and out of the passenger compartment extremely comfortable. An electronically driven system pushes the door outwards and pulls it back parallel to the vehicle body for gaining access to the rear seats. This mechanism, which draws on the one used on the VW Milano Taxi (presented in May 2010), offers the advantageous practicality of sliding doors but without sacrificing their section (room is found inside for a comfortable armrest) and makes it possible to do away with the unattractive tracks on the body typical of this solution. 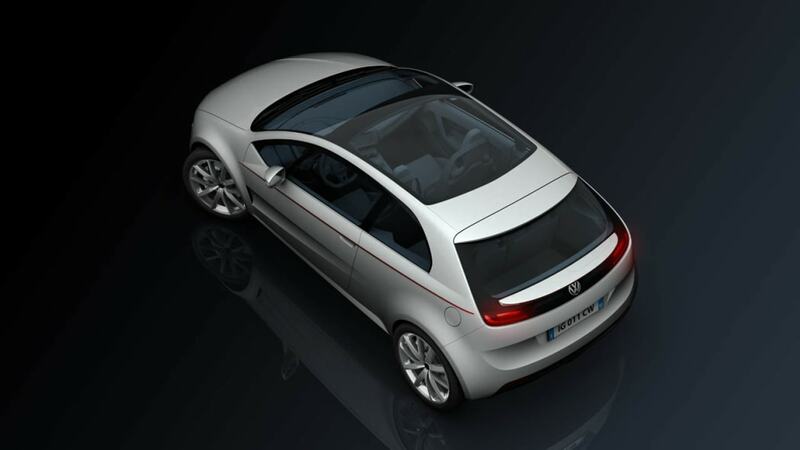 Without sacrificing the family feeling typical of the Golf and the Golf Plus, the Go! offers innovative solutions both in the front and back that combine aesthetic pleasure with practical functionality. The grille, dominated by the large VW badge in the centre, incorporates the front light clusters with Xenon/LED technology. The air intake is placed at the height of the fog lights and horizontally splits the front spoiler, adjusting the air flow necessary for cooling the front electric motors. The tailgate reintroduces the theme of the glass surfaces interrupted by a longitudinal insert that not only optically takes up the theme characterising the side view, but conceals the windscreen wiper and rear cameras that turn on when the reverse gear is engaged. To make loading luggage easier, the tailgate can be operated electronically for both opening and closing. A sensor that activates the opening mechanism by simply moving the foot is also fitted underneath the bumper. The light clusters are positioned under the glass surface and are invisible when the panel is off. When the tailgate is opened, they are repeated by two additional taillights located in the lower part of the bumper, beside the rear air intake, which also house the rear fog lights. Ergonomics is certainly the word that best describes the concept of the Go! 's interiors. All of the elements have been styled and designed while keeping man in mind. Every single detail - from entering the car and using its controls to the shape of the seats and the instruments - has been designed from an ergonomic point of view. The driver and three passengers sit on four identical and electronically adjustable seats. Those in the rear can also be folded down using an electronic adjustment mechanism and with remote control, and they form a single surface on the rear floor panel level to increase the maximum loading volume to 525 litres. A storage console/sliding armrest sits between the front seats. If completely pulled back, it aids the driver when getting out from the passenger side. This solution is particularly useful if parking is narrow or if there are objects blocking the opening of the left door. What's really new is the unprecedented positioning of the control panel. Once again with maximum ergonomics in mind, the most important information such as speed, fuel consumption and fuel level is placed at the base of the windscreen, in the rear of the deep dashboard. Giugiaro was extremely keen on this solution. "With the controls positioned in this way, the driver does not have to continuously change his focal length between the foreground of the dashboard and the long surface of the road in front of him. With this layout he can keep his eyes set on the road, distraction-free, and have all of the information necessary for driving available at all times." The monitors of the rear view cameras are also at the base of the windscreen, but at the two side ends. The dashboard contains a touchscreen monitor in the classic position. It groups together all of the auxiliary controls, the infotainment system, the satellite navigation system and, when the reverse gear is engaged, the images of the camera for manoeuvring. The Go! 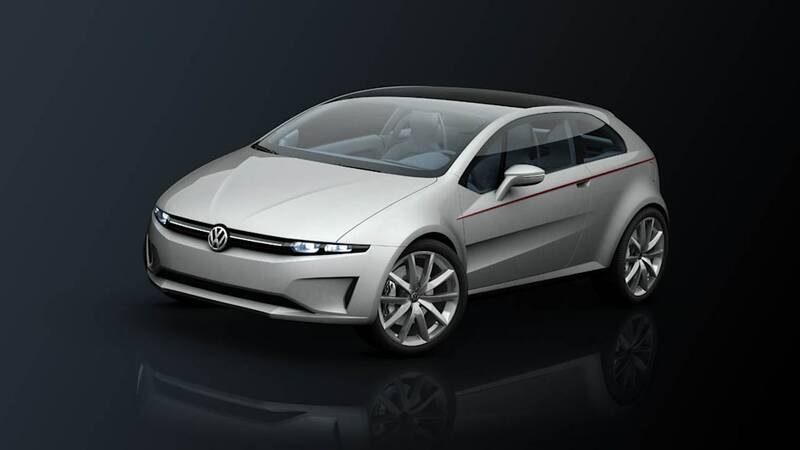 is equipped with the electrical Blue-e-motion system totally designed and developed by Volkswagen. Ideal for city traffic, the blue-e-motion system lets the Go! travel roughly 240 km in the combined cycle without emitting even a single gram of CO2. Besides the one for cars, Walter de' Silva, Fabrizio and I share another passion: the one for Italian comics hero, ranger Tex Willer, said Giorgetto Giugiaro. We wanted to name the coupé after the legendary ranger, as a homage to the men who wrote and drew important pages on our popular culture. Thanks to Mr. Sergio Bonelli's kindness and helpfulness we finally could realize this unique operation. And, in the end, our prototype, just like the real Tex, has a strong heart and a gentle soul». Four real seats, front wheel drive and a gently aggressive line, the Tex fits into a long tradition of Volkswagen brand sports cars. "We designed the Tex in actual fact thinking to the Volkswagen sports cars of the years to come," commented Fabrizio Giugiaro, deputy chairman and style manager of Italdesign Giugiaro. "We intentionally kept a family feeling that would immediately identify it as a Wolfsburg product close to production. No visionary or futuristic choice was made, but it is rather a natural evolution of today's canons with the addition of a few technologies that will shortly become available on the market." Compact, very low (1355 mm in height) and 1750 mm wide, the Tex at first glance looks like a sports car with great grip on the road, stressed by the large 19" wheels at the ends and generous wheel arches. Its set-up is that of a classic two-door coupé whose clearly sporty personality is emphasised by an aggressive front and its rear flaunting two spoilers. 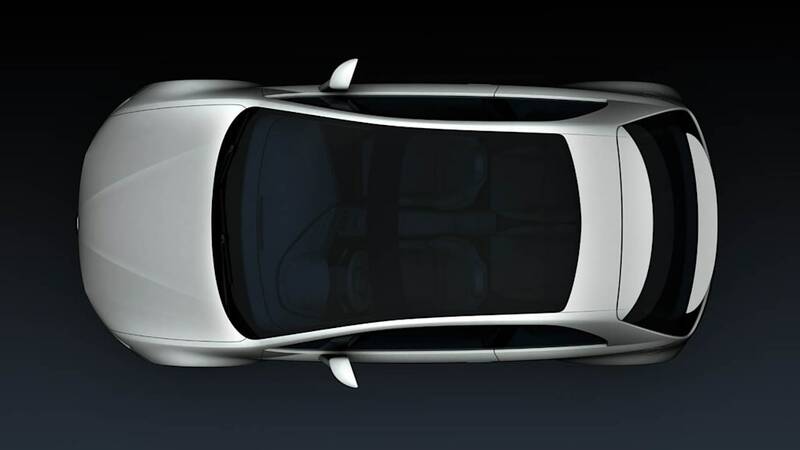 The side view is marked by lines that sculpt the doors next to the air exit of the front wheels and its waistline that rises up toward the tail. The front is distinguished by a slender grille that encloses the light clusters in an unprecedented trapezoidal shape and three air intakes in the bumper/spoiler zone, necessary for cooling the brake discs and 1.4-litre turbo engine. The VW badge sits in the centre of the grille and is optically underscored by the V-shaped groove of the bonnet. Windscreen and roof are a single piece of glass that becomes dark electronically. The large rear window dominates the rear and accommodates two spoilers, with the windscreen wiper housed in one at the bottom. Like the Go! previously, the light clusters are under the windscreen and are invisible when the panel is off. Access to the luggage compartment is permitted by raising just the rear window and, once it is open, the light indicators are repeated by the two supplementary tail lights located in the lower part of the bumper, at the sides of the rear air intake that also contains the rear fog lights. As in the Go!, the Tex's interiors have also been designed to offer the occupants maximum space and maximum ergonomics. The passenger compartment is definitely geared to the driver. All of the instruments are positioned in a functional manner and wrap around the driver so as to leave the passenger an incredible sensation of space. The large dashboard containing the controls and driving information grows smaller as it approaches the door panels so as to make getting in and out of the passenger compartment easier. "We designed the interiors so that the first sensation would be that of entering a sports car," continued Fabrizio Giugiaro. "The driver has to be able to find himself, and this is why we chose finish details and elements that refer back to the classic idea of the sports car. We have adopted the large gear knob and leather interiors, with the speedometer and rev counter situated in the classic position behind the steering wheel and with 'analogue' graphics, precisely for that reason". If the outfitting is classic in style, the contents are instead full of the maximum technology available today. All of the controls and indicators are housed in LCD screens, as is the infotainment console put on a touchscreen in the centre of the dashboard, set in a transparent structure that lays bare the structure. The dashboard is separated from the central tunnel, an unusual solution for a car, but wraps around the driver with a graphic and colour continuity. 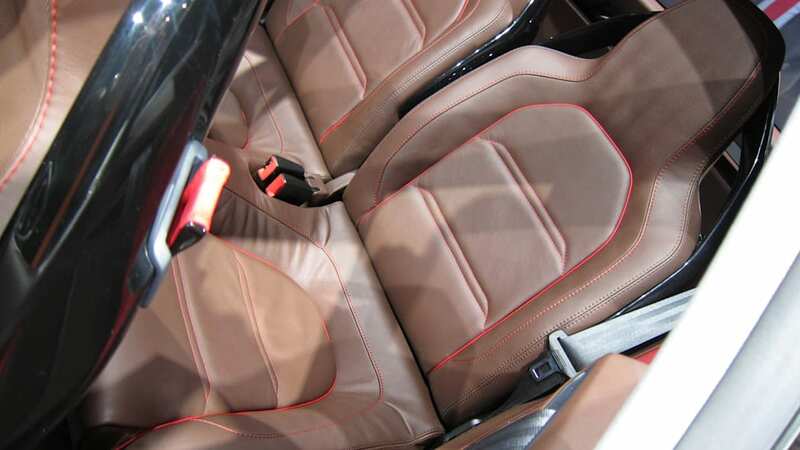 The two rear seats are independent and can be folded down. 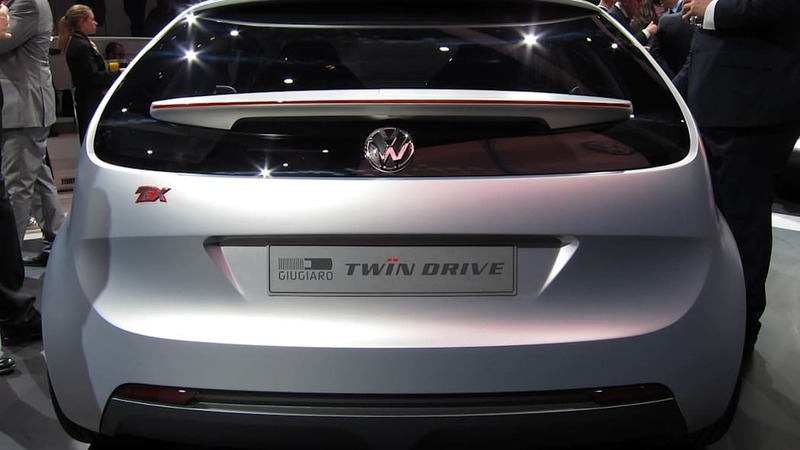 The Tex is fitted out with the hybrid plug-in system called Twïn Drive conceived and developed by Volkswagen. The Twïn Drive couples a 1.4-litre turbo internal combustion engine with a battery-powered 85 kW peak electrical system capable of developing 400 Nm when used combined together. 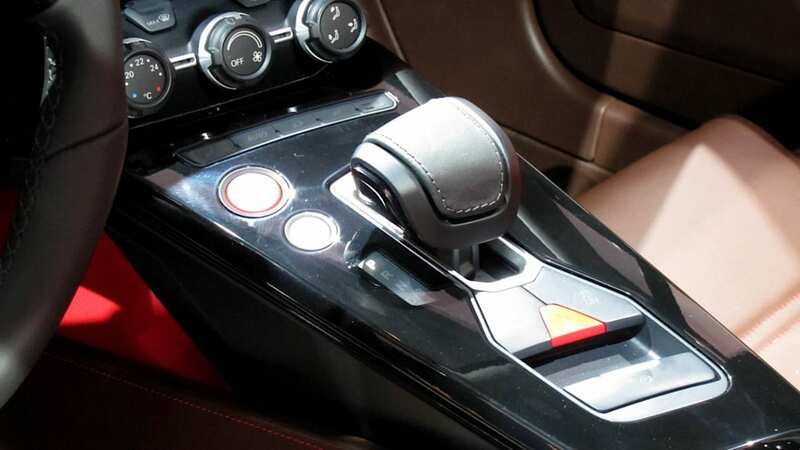 It has front-wheel drive with a 7-gear Direct Shift gearbox with gearshifting on the steering wheel. Its performance is that of a pure sports car. The Tex is able to reach 100 km/h from a standstill in about 6 seconds, and reach a top speed of 220 km/h. However, in this case sportiness and eco-friendliness are not worlds apart. The Tex is able to cover approximately 35 km in the totally electric mode, mostly enough for getting around during the day.